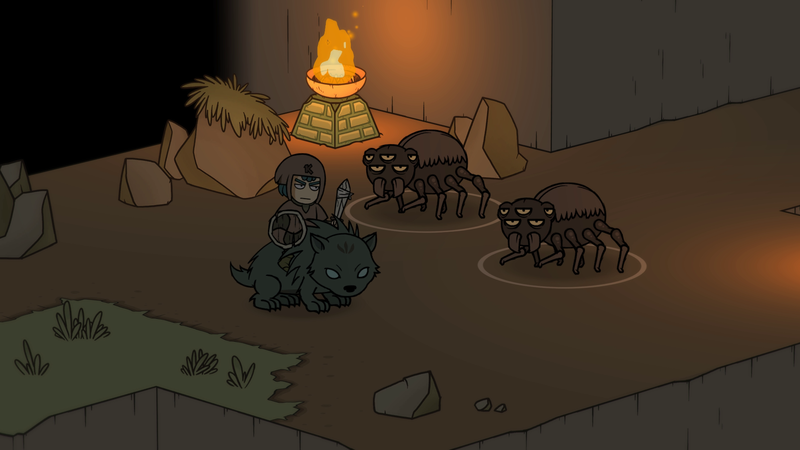 Kofi Quest: Alpha MOD :: Kofi Quest: Alpha MOD will launch a Kickstarter campaign this April. Kofi Quest: Alpha MOD will launch a Kickstarter campaign this April. After some events that the Kofi Quest: Alpha MOD project has gone through behind the scenes, we at Loftur Studio have decided to launch a Kickstarter campaign for it, which will begin by the end of April. We have been developing Kofi Quest: Alpha MOD for over three years. We have learned a lot, much has happened and we have been constantly working, day after day. Our game is in a very advanced stage, but we’re a very small team and we still find many obstacles that prevent us from finishing the game in the desired conditions, and from reaching higher goals with it. Bringing the game over to Nintendo Switch (and other consoles) is a constant request amongst players. We want to work on an adaptation of the controls for gamepad and, later on, make a port for Nintendo Switch, with all the work that implies. We also want to work more in our social networks and open doors for players to be able to participate more in the decision making of some of the content. We have prepared the campaign with much dedication, with interesting rewards and possible Stretch Goals that could make a much better game if we reach them. The campaign starting date will be announced next week, and we will start showing everything new that we’ve prepared for it. Please, stay tuned in our social networks. Por favor si sacan la version de switch, hagan una herramienta para poder pasar tu partida del PC a SWITCH :D , donde hay que firmar para el kickstarter ?? Tiene sentido, en la recta final a veces se ve que hay más de lo que uno espera. Sigo esperando el juego desde que se anuncio y esperare lo que sea para que sea un buen deleite al paladar gamer. Me alegra escuchar una actualizacion del juego, se ve que tienen una dedicacion muy fuerte para hacer del juego una joya, sigan asi! Si esto puede conseguir que el juego esté mejor y tenga más contenido, es una buena noticia. ¡Ánimo! Podíais haber sacado Kofi hace unos meses y tener un juego bueno, pero decidísteishacer esto y sacar un juego mejor. Habrá muchos que os critiquen por el movimiento, pero Kofi es vuestro niño, queréis lo mejor para él y le queréis preparar la mejor salida. Algunos no lo entenderán, pero desde fuera de este mundillo no se ve todo y hay gente que todo es lo que se ve desde fuera. ¡Yo os apoyo, ánimo con ello!